They came as a gift from the old man – a return gift on his 80th birthday. At that time, they were trying to find a foothold on a small struggling-to-grow shrub in a black plastic bag, a few flowers already reveling in the attention, while a few buds waiting in the wings to bloom. But if you gave the shrub a once-over, you could immediately see that they were craving love. Unfortunately though, in the mire of our daily lives with a career to make and a home to feed, the yellow flowers would soon get forgotten. Plants needed TLC. But who had the time? The tulsi shrub they had at home earlier, was dead long back; and they knew not the reason. But he made the time. He started reading. On trees, home gardens, how to tend plants. He spent an hour everyday reading on the subject after he had spent his energy working the whole day. In a week’s time, he started working on the flowers. Now he spent an hour early in the morning, cleaning, watering, treating plants. When he travelled, he reminded his family to water the plants without fail. When he came back, like one would first tiptoe to the baby’s room, he would go look at the yellow flower shrub and the garden plants. He would spend an hour in the morning Sun, after his exercises, with the plants. He would talk to his friend on the phone taking home remedy tips to treat the plants. He would go out hunting for medicines for the plants. It was almost like there was a new baby in the house. Only this time, the baby was green and yellow in color. Gradually, like a patient gathered strength and got the color back in his cheeks, the shrub started perking up and looking better. With each passing day, it looked healthier and attractive. The leaves got their freshness back; the buds started multiplying again. Spring was also setting in. And on the Hindu New Year’s day, the shrub was full of yellow flowers, a riot of yellow, as if vying for numero uno with the yellow gold of the Sun’s golden rays. 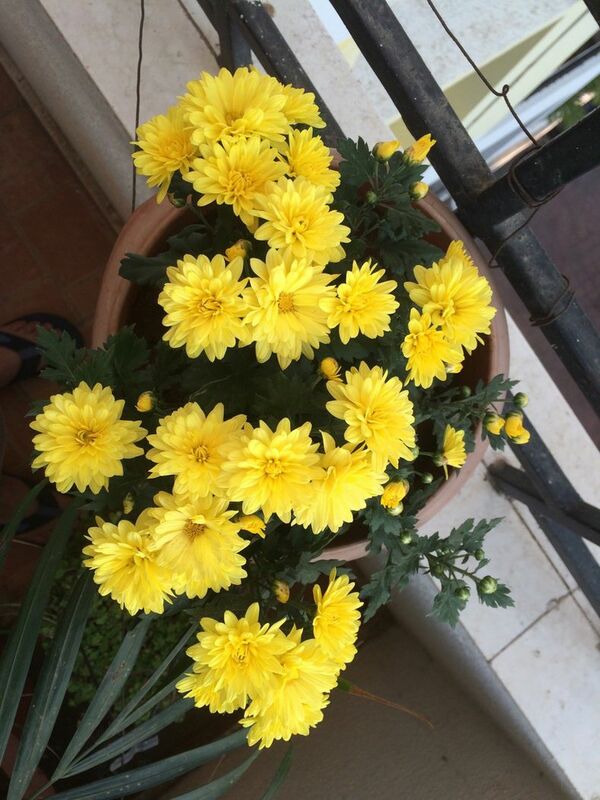 The shrub was now in a pot, looking happy, its smile growing with each yellow flower. To me, this was the effort towards excellence - his, the gentleman’s journey towards excellence. This is how it should be. Where you enjoy the journey as much as you would, the destination.